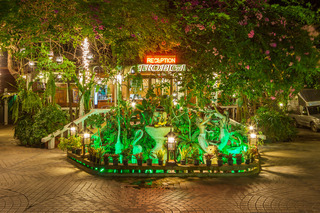 La Flora Resort is a stylish boutique resort located in central Patong directly opposite the beach front and close to the shops, markets and nightlife of this busy town. Phuket International Airport is approximately 45 minutes drive away and Phuket town 20 minutes. The 67 guest rooms, suites and pool villas have a modern design and offer many comfortable furnishings including spacious bathrooms, private balcony and free Wifi access. A wide choice of cuisine option are available and an extensive wine list, the Current of the Sea restaurant is renowned for its Seafood Fusion menu or guests can enjoy the seaviews for the rooftop restaurant, The Surface Restaurant & Bar. Resort facilities include two parallel lap pools overlooking the sea, the reading corner, business centre, spa and Thai traditional massage, fitness centre and room service. The Bloc Hotel is a modern boutique hotel situated in the heart of Patong, located right on Patong beach front, accessible to many tourists' attractions such as Bangla Walking Street, Shopping Mall, Restaurants and Bars.The hotel is designed in contemporary style to cater both Thai and foreign guests looking for perfect place to relax in the heart of attractions with close proximity to the beach.The Bloc Hotel Patong offers full facilities including, outdoor roof top swimming pool equipped with sun decks, fitness center, library, in-house restaurant, coffee club and pool bar indulging comfort and friendly excellent service to an enjoyable holiday experience.We are envisioned to deliver our finest services for optimum guests satisfaction to a sustainable memorable holidays. One of our bestsellers in Patong Beach! This property is 1 minute walk from the beach. This property is 1 minute walk from the beach. Located along Patong Beach, The Bay and Beach Club features an outdoor pool and spa with sauna facilities. It offers a poolside terrace with direct beach access. A poolside bar is offered.The Bay and Beach Club is just 200 m from Bustling Bangla Road and 700 m from Jungceylon Shopping Centre. Phuket Airport is 45 km away.Rooms at The Bay and Beach Club feature modern décor with Thai influences. Cable TVs and safety deposit boxes are available. Minibars and tea/coffee makers are provided.A business centre and tour desk takes care of guests requests and needs. Laundry and dry cleaning services are available. Guests can enjoy Thai massages by the beach.Guests can dine by the Andaman Sea at Baan Kamnan Restaurant, savouring fresh seafood and traditional Thai cuisine. Tropical drinks are offered at the poolside bar. 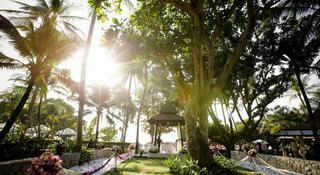 Enjoying a convenient location close to the town centre, this stunning beach hotel in Phuket offers guests the best of both worlds. Set amidst breath-taking surroundings and facing the Andaman sea, the Impiana Resort Patong Phuket places guests in close proximity to the spectacular sights that Phuket has to offer including an array of spectacular temples and the prominent landmark of Phromthep Cape.Immersed in exotic natural beauty, this elegantly designed hotel offers an intimate haven in which guests can indulge in fine-dining from a host of in-house venues including an award-winning restaurant which serves an array of delectable delights. Guests can also relish rejuvenating treatments in the Spa. For the ultimate relaxation and tranquillity in an enviable location this is the ideal choice. 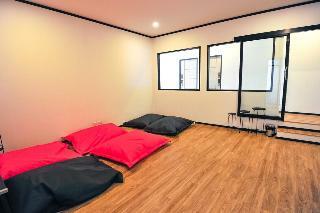 Surf Hotel Patong The First Choice Of Accommodation For The Active, Curious, Urban And The Socially Responsible Travel. 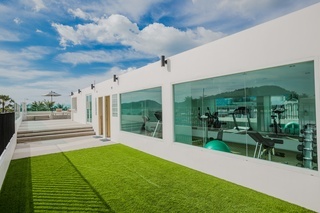 Surf Hotel Is Designed As A Cosmopolitan Surfing Destination, Offers Exciting And Innovative Fun Right In The Heart Of Patong Beach, Without Compromise On The Highest Level Of Service, Truly Custom-Made For The Convenience Of Our Guests. Targeted At The Active Urban Go-Getter, We Aim To Indulge And Satisfy Our Guests Endlessly. This property is 2 minutes walk from the beach. 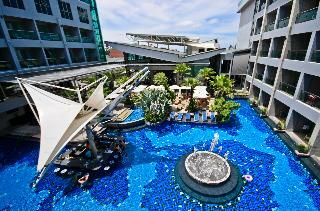 Located 500 m from Bangla Road, Glur Phuket Patong Beach provides rooms with air conditioning in Patong Beach. 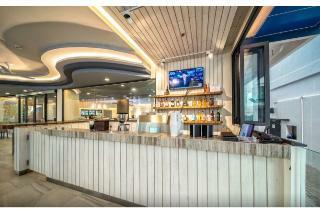 The property is set 600 m from Patong Boxing Stadium and 700 m from Jungceylon Shopping Center. The property is close to popular attractions like Banana Walk, Banzaan Fresh Market and Patong Pier.Continental and à la carte breakfast options are available each morning at the hotel. 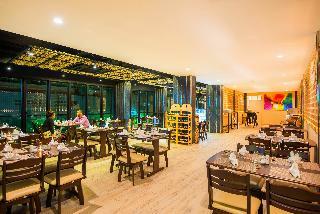 Various dining options including Thai and Italian dishes are available at the on-site restaurant. This hotel revels in the beauty of its surroundings, in Patong Beach. The hotel is situated just a 1 minute's walking distance from Beach Road, lying within easy access of restaurants and pubs. The hotel is situated just a 5 minutes' walking distance from a number of shopping opportunities. Phuket International Airport is located just a 45 minutes' driving distance away. 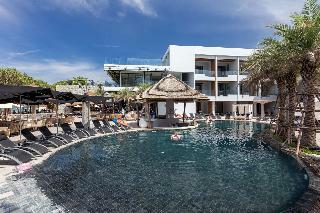 This hotel offers resort-style accommodation, complemented by superior service. The guest rooms are stunningly designed, offering tropical splendour in an elegant setting. The hotel's extensive range of exemplary facilities and services are sure to be appreciated. Thara Patong Beach Resort enjoys a prime setting on Patong Beach. 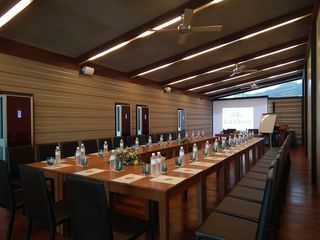 This resort is located just a 25 minute drive from the vibrant town of Phuket but guests who do not want to venture too far away will find bustling shopping and entertainment areas just a short stroll away.The hotel adds a touch of elegance and sophistication in the midst of its rugged natural surroundings. 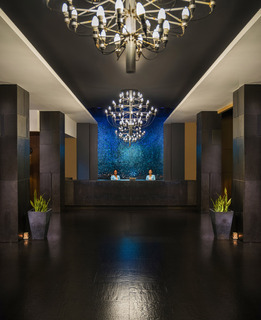 The spectacular lobby exudes decadence and luxury and the resort's guest rooms are beautifully-presented and designed with comfort and convenience in mind. The resort offers a host of leisure, recreational and dining choices for guests, to ensure that they fully enjoy every aspect of their stay.